I am beholden to my Telugu fraternity of historians in general, and the executive of A.P. History Congress in particular, for bestowing on me this rare privilege of sharing my views on the historiography of Telugu people in both the colonial and post-colonial times. Now that Telangana has been carved out of erstwhile Andhra Pradesh, the Telugu people who share common language, literature, history and cultural heritage are distributed in two separate states for administrative convenience or due to political dynamics. When we look back through the ages, large chunks of the Telugu speaking population have continually fallen under the rule of major dynasties, like Satavahanas, Vishnukundins, Chalukyas, Kakatiyas, Vijayanagara, Qutb-shahis and Asafjahis, who finally handed over the Northern Sarkars to the British East India Company in the second half of 18th century. The transfer of Andhra region to the English was vehemently opposed and seriously protested by the local chiefs – plains and tribal communities. The zamindars and tribal chiefs continued their armed struggles for over three decades culminating in the Battle of Padmanabham (July 10, 1794). To somehow settle the affairs, the English had to come to terms with the local chiefs by reinstating the traditional zamindars to their estates and to allow the tribals to have their way without any interference from the British. The division of Telugu-speaking territory between the English Company and the Asafjahis has had a great impact on the life-styles and culture of people under their respective areas. Very lately, to say precisely after the formation of linguistic states, they started claiming to have acquired distinct and distinguishable characteristics as they were exposed to two different alien cultures during these two centuries. Though they were brought under one umbrella of a linguistic state, the regional disparities in culture and development prevailed over linguistic affinity within a decade of their co-existence. Now the problem has come into the domain of historians and assumes greater significance and interest for historical diagnosis and prognosis. The historiography on modern lines is a product of colonial times, which has been centering round the major and minor dynasties. Both historiographical streams- imperial and national- focused on political history with imperial and national perspectives at macro level. After the independence, studies in regional history are encouraged to fill the gaps and highlight the contributions of local people and regions to mainstream historical developments to complement and enrich macro history with studies on micro areas – geographical and thematic. Let us attempt in the following lines to outline the historiographical trends and have a cursory look at the macro-micro dynamics in the national and regional history writings during the most crucial period of Indian political developments leading to our independence and aftermath. Early foreign writings on India starting from the Greeks to the Chinese, Arabs, Persians, Afghans, Turks etc., lost their status as supplementary historical accounts to the main narrative, and turned into the conventional historical sources to construct a macro history of India with many a missing link. These early efforts by foreign writers were converted by colonial historians into a new genre of history of India in line with European historiography. With this, rewriting history with ulterior motives had begun. Characteristically, the new genre differentiates from earlier forms, placing the historical developments in a chronological narration of events in a Space-Time-Continuum. Starting in the eighteenth century, historiography witnessed vigorous activity, refining briskly its craft, tools and methods. By the twentieth century, monumental contributions by several scholars, mostly Western, had developed various philosophical schools of history - completely redefining its nature and purpose. These studies firmly established history in the domain of social science. History was no longer considered an Art, since it had grown into a multi-disciplinary subject harnessing the sophisticated tools and methods of various social, natural and physical sciences. In rapid strides, history was brought down to earth restricting its studies to be based primarily on material and literary sources, which can stand to the tests of objectivity and authenticity. By the late twentieth century, area studies had developed. Now history writing has transformed as an interpretative critique of political economy or an investigative report of any current social problem or a perspective developer. We can very clearly see the reflections of all these trends in Indian historiography before and after independence. Before the advent of modern genre of history in India, we have had a long and continuous tradition of historical writings in several forms like itihasas, puranas, kavyas, natakas (dramas) prabandhas, biographies, travelogues besides orature, folklore and folk arts and in several ancient languages, like Sanskrit, Pali, Prakrit and medieval vernaculars etc. For convenience, we term modern genre as ‘history’ and native traditions as ‘traditional history’. Due to generic differences in respect of their nature, aims, theory, and method, the modern historians express reservations to consider the earlier genres as histories though they have no objections to depend on them as source material for writing their histories. History is written and rewritten several times across generations. In our Indian context, we see that the succeeding generations revered the writings of earlier generations, extensively quoted and referred in their writings. Surprisingly, no ancient author claimed that the themes and ideas were his/ her own in indigenous literature. They invariably acknowledged the contributions of their predecessors. Itihasas such as the Ramayana and Mahabharata were contemporaneous to the respective events that happened on the earth and geographically in India, closer to the present genre of history. The puranas are the reminiscences of the events that happened across yugas and times, at earthly and non-earthly planes, and present the landmarks in the history of Universe from creation to dissolution. Though structurally uniform and many incidents and references to personalities reported are common, each purana has one major theme of its own as indicated in its title. Symbolism and exaggerations are the main characteristic features of puranic literature seemingly defying any logic and reason on peripheral look to attract people to access the ancient knowledge. However, one of five main lakshanas (sub-themes) in the puranas, invariably contain genealogies of kings and rishis (Vamsanu charitra) with brief sketches of major happenings of the mundane world. This is nearly the same in all puranas with a few omissions or interpolations here and there, which were updated from time to time. A historian cannot ignore the ancient literature which is essential to interpret at least the archaeological artifacts, ancient art and architecture. So, ‘traditional history’ prescribes every conscious human being to move on four wheels of Dharma on a fixed path to reach the destination, the Liberation. Dharma is a spiritually oriented path in the material life offering guidance to man from birth to grave. It has definite aim, a dialectic game and a fixed goal whereas modern genre of history is concerned only with the present in the light of known past with no clear or sure idea of destination. With no sure guide, no one knows where one goes. Pursuing motives multiplies controversies; following Dharma for an Ideal cannot be treated as ‘bias’. Well, both genres of history differ in their outlooks, perspectives and applications. But they are not totally antagonistic to each other if perused carefully with open mind. A new western genre, known as Metahistory, was born in mid nineteenth century, which attempts to bridge history and philosophy. According to Oxford Dictionary, Metahistory means, “Enquiry into the principles governing historical events; the study of the philosophy of history, or of historiography; specifically the study of the structure of historical narrative.” Metahistory with its elements of ‘enquiry into the principles governing historical events; the study of the philosophy of history, or of historiography’ may move closer to traditional history and its elements to enquire ‘specifically the study of the structure of historical narrative’ may go favorably with modern history. In modern theories, the dynamics of dialectics is not a strange phenomenon. Dialectics occupied a firm place in all intellectual and philosophical debates and propositions from Plato to Hegel and Marx in the West and as purva-para paksha in India since times immemorial. Hegel’s spiritual dialectics and Marx’s material dialectics (Dialectical Materialism, DM) received good attention of the intellectual forums worldwide for over two centuries. Hegel recognized the dialectics of Spirit whereas Marx prevails on Matter. Currently, DM is preferred over the other since a hundred years. After DM adopted political dynamism, it became popular among the general intelligentsia. However, ‘priority of matter over mind’ cannot stay put forever in a continuously changing world. ‘Synthesis’ cannot be too far when its dialectic constituents are in sight. Synthesis also over a period of time turns into a thesis, and antithesis develops from within. Again dialectics start working making us crave for a synthesis. In its unending march, the phenomenon of the working of Universe looks linear in physical consciousness, oscillating in intellectual consciousness and cyclical in the universal consciousness. Though synthesis is also transitory, the elders say that it is a desirable desire to pass through the ordeal of dialectics striking equilibrium between them. The dialectics of Matter and Spirit form the bedrock of the grand edifice of Indian philosophy and spirituality. Bharatiya ‘tattva’ emerging from the Vedas and post Vedic literature, considers the dialectics of Spirit and Matter as two basic forces (positive and negative), which keep the Universe afloat. Its existence depends on such duality forming dual polarity for its sustenance. The Universe disappears when this duality is compromised. The ancient philosophical systems and schools reflect this Truth in various colorful ways, which later grow into religions when the followers of a school transform into a sect. These sects growing into religion downgrade Dharma as a sectarian dharma seemingly different of other such dharma though both have their roots in Dharma. Again it is a long story. But it is not impossible to accommodate the two principles in workable and judicious proportions in any system or organization - political or religious or academic. The uniqueness of Indian literary tradition is that it provides us with an intellectual understanding of the history of Creation and the Universe on a mega scale to acquaint us with our roots of ‘existence’ and to provide guidance to march towards fruition of our ‘living’. Therefore, if history theorists, with open mind, work out, it may not be difficult to synchronize the positive elements of these two genres to frame a new hybrid genre (synthesis), to give us the best of both. A silver lining of synchronization of these two distraught genres is that both subscribe favorably to Macro history. The modern history evolved gradually after the emergence of nation states in Western Europe as a result of Renaissance and Reformation. Many of these nation states were autonomous member states of the Holy Roman Empire and eventually assumed sovereignty. The histories of these new sovereign nations are characterized as macro histories irrespective of their sizes – small or big. The Indian genre of traditional history has a larger and wider scope providing us the general history of Creation, Cosmos and Universe, infinite plains (of consciousness known as Bhuvanas), and then comes to the specifics of Prithvi as a physical plain. Therefore, in modern times, both the genres were Macro histories, which turned out to be national in postcolonial period and imperial during colonial period in the context of erstwhile colonies of European nations. The imported western genre is no less important. It throws light on our pre-historic and historic past. Both genres play their role in our lives to make us feel comfortable in our life’s journey serving material and spiritual interests of man. Indian history as modern genre started in the late 18th century with a purpose to acquaint the British youth who joined the Company service to administer India with the necessary information on India. The early historical works –the British, European and later Indian- are predominantly macro histories covering the entire ‘India’ that was under the British governance or dominance. Approximately, it might be double to the present truncated one. India was considered as one unit then and it got recognition as an empire and the British King/Queen was also titled Emperor/Empress of India. Approximately, a hundred years after the beginning of the British writings on India at a macro level, the English educated native intellectuals started writing national histories based on literary sources as a response to imperial writings. The national historiography, which was following the western craft and style, had begun sowing seeds for national movement. The feeling of ‘oneness’ is the basic ingredient of nationalism. Although National historiography with its focus on national unity juxtaposed imperial history with its imperial motives, but both, however opposite they seem, were still linked through their use of macro history. Both histories had clear motives and mutually differing interests. Therefore, Indian historiography has begun with preloaded purpose expecting a definite result. This continued till our independence. In the 1930s, about five decades after the birth of national historiography, a new western stream, Marxist historiography appeared on the national platform exposing the British economic exploitation with an analytical work on political economy authored by R P Dutt. While the first phase of Indian historiography covering the national struggle was predominantly macro, micro studies in Indian history started after we became independent. With one stroke we were freed from the British rule and their imperial moorings with our historiography while the national historiography continued to plead for national unity. In the absence of a foreign foe, the national historiographers banked on Indian culture to promote unity of the Nation. In a country like India with diverse cultures and religions, a cementing force has to be strengthened. The effort through writings on Indian history is an on going phenomenon. A few macro works even continued for two or three decades after we became independent. Soon after independence there was a spurt in historical writings on Indian freedom struggle. This gave rise to local and regional histories, biographies of leading freedom fighters, histories of tribal communities and writings on popular movements, protests, riots or social reform efforts whether they were directly connected with the freedom struggle or not. The Union Government and state governments took some (not adequate) interest in setting up projects for writing history of the movement in their respective areas and regions. History associations were formed at state and district levels by the enthusiasts to encourage research in local history. After pursuing nationalism, economic and development studies, caste and community studies, social and cultural studies at micro level have taken the lead. Over the period, the number of such studies has grown manifold. It is a matter of serious concern that the academic scrutiny of such works is lacking. We all welcome qualitative quantification in research products, but micro studies emerging towards the end of last century in Europe are critical about macro understandings and historical theories and methodologies. Micro studies are closer to postmodernism. The micro-macro dialectics question the very purpose and aims of historical studies. Macro history lacks details of local or regional events and personalities that have contributed to macro understanding. We expected that micro studies should complement macro history. It was so till about three to four decades when western genre of micro studies started influencing our micro research theory and practice. When we peruse the origin and development of historiography in our region of Telugu speaking people, which was divided and ruled as parts of Madras Presidency and Hyderabad state, the dynamics of macro-micro look prominent. Many individual scholars put in voluntary effort to trace the historical sources spread all around, and also endeavored to collect literary sources and epigraphs. The British and European scholars and administrators also showed keen interest in collecting surface finds and preserving them in Museums. By the close of the nineteenth century, Telugu literature came up in various forms and ways. Freelance writings with exaggerations had also started to educate the people and to inspire them for participating in the national struggle. Telugu renaissance started in Andhra region during the last two decades of the nineteenth century and in the Telangana region in the first two decades of the twentieth century. (Rao Bahadur) Kandukuri Veereshalingam (1848-1909) should be remembered for heading Renaissance in Telugu literature, which caused a social reform in Andhra and Suravaram Pratapa Reddy (1896–1953) from Hyderabad for his monumental work on social history of Telugu people. Andhra Historical Research Society, Rajahmundry, has done great service to the history of Telugu people. The Telugu movement was not just regional but it was clearly meant for raising national consciousness and for instilling self-respect among the dormant sections of Telugu people. Such efforts by many scholars and writers had contributed to macro history and facilitated the rise of national consciousness among Telugu people. The affinity developed during the renaissance period was put to test after they were brought under one state. Finally, they parted. As the things have settled now accepting it as fait accompli, the problem could be taken up to study the factors dispassionately by the historians. The recent micro studies in both the regions need a critical survey to assess the role of these studies in modern politics. I think APHC with its long standing in serving the field of historical research in the Telugu region should take steps to suggest corrective measures to avoid repetitions of such dissensions any further. The monologue continues running like this if not checked or withdrawn. One part of it is philosophical, another part theoretical and the last mundane. Like a bird, it is something like hovering in the sky and landing when it finds some food on the ground and again start flying. So this is literally a bird’s eye view and abstract thinking. There may be repetitions, no conclusion nor any finality. However, this exercise should not go unproductive. There should be something to take away from here either to agree and appreciate or to disagree and criticize. Comments and compliments are welcome dispassionately. ➢ India, blessed with a long and continuous literary tradition dating back to times immemorial has no such parallel in the world. We will be more benefited if perused attentively, instead of rejecting or condemning them. ➢ Dialectics of Spirit or Matter is a natural phenomenon. They are complementary to each other. Equilibrium has to be maintained for a peaceful and comfortable living. We should intelligently and intellectually interfere when one competing force tries to override the other. ➢ The Macro and Micro dynamics is a continuous affair. We should not judge and deride any historical development or happening based only on micro studies. We may examine if Micro studies may be encouraged as supplementary or complementary to the Macro History whenever themes are going astray. If sufficient care is not taken, such studies lead to dismemberment of the country. ➢ Macro history may not be allowed to suffer by encouraging narrow specializations without broader understanding of Macro history. In our ancient literary tradition, the author has no claim to any aspect dealt in his work as his/her own. He quotes and acknowledges the contribution of previous authors. Everything the author has said, in the foregoing lines, are not his original ideas, these are frequently discussed in the intellectual circles. The writers, discussants and works referred here are too many to be listed or quoted. If the reader has any doubts, he may consult the related works by themselves and be kind to inform the author to benefit the author by their clarification. He holds responsibility to clarify if any fact or idea is misinterpreted or lacks clarity in the author’s expression. The coastal districts from Chicacole (Srikakulam) to Nellore were known as Northern Sarkars as they were situated to the north of the then Madras Presidency. Sarkar can approximately be equated to the districts of today. Under the rule of some of the ancient dynasties like Satavahanas, Chalukyas, Vijayanagara Telugu people had free and direct access to the Arabian sea on the west coast, and the Bay of Bengal on the east. Nizam Ali Khan, the then Nizam, signed the Treaty of Perpetual Friendship and Alliance on Feb 23, 1768 (see Aitchison, Treaties, Engagements and Sanads, Vol IX, p.27) jointly with the English and Mohammad Ali, the Nawab of Arcot, expecting English military assistance from the English and the Nawab against the Marathas to get back Berar. He gave away Northern Sarkars to the English Company to earn their goodwill by acknowledging the Golden Firman of the Mughal Emperor (1765), which made the English the de-jure masters of the Northern Sarkars. This sacrifice turned Hyderabad State into a land-locked territory. The cost paid for this folly was realized by Hyderabad when Mir Osman Ali Khan, the last Nizam, felt the need of an opening to sea preferably to the West either to flee or to facilitate military supplies from the Muslim countries in West Asia. He tried frantically to buy Marmagoa Port from the Portuguese through a British go-between, Sir Alexander Roger, who pocketed GBP 17000 for his services as reported in ‘The Hindu’, English daily dated 31 Dec 2017. For details, see Sudershan Rao, Y, Andhra Between The Empires, Sulekha Publishers, Hanamkonda, 1991. Fort William India House Correspondence (Foreign Pol & Sec) Vol XVIII, introduction p 39, 297& 393-4. Here, ‘Space’ is geographical, ‘Time’ is linear. In India, all ancient indigenous literature holds on to Dharma as the common basic theme for all its genres irrespective of sharp differences in their characteristics – structural and contextual. The ancient literature is explicitly ‘biased’ (in modern parlance) to uphold, protect and propagate Dharma, which is timeless and ever fresh, formally termed as Sanatana Dharma. This distinguishes ancient Indian literature with literatures of other countries because of its unique action oriented Ideal. There are many other differing aspects in both genres, which are not discussed here for space and time constraints. Here, ‘existence’ and ‘living’ are referred in their spiritual sense. Ramakrishna, V. Social Reform in Andhra, (1849-1919), Dec 1984. Pratapa Reddy, Suravaram, Andhrula Sanghika Charitra, Hyderabad, 1949. 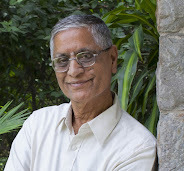 The author acknowledges his irredeemable debt to Dr. Sadguru Sivananda Murty for his constant inspiration and guidance. He blesses his eldest daughter, Smt Hema Yellapragada Botlagudur (Warwick, UK), and her sweet daughter, Hema Kumari Botlagudur for reading, commenting and editing the earlier drafts.